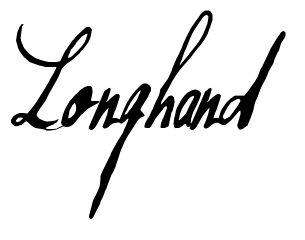 Type in the box below to recreate the experience of writing longhand. You cannot edit your work, except to strike-through a selection. This site only works properly in Chrome right now. ")); var lastchar=html.substr(html.length-1,1); var rest=html.substr(0,html.length-1); html=rest+startstring+lastchar+endstring; } var html = html.replace(/ /gi," "); var html = html.replace(/ /gi," "); var html = html.replace(/\|/gi,"